This all-purpose, layflat, white glue won't buckle paper. It's used by many professionals, including bookbinders, printers, libraries, and greeting and sample card makers. 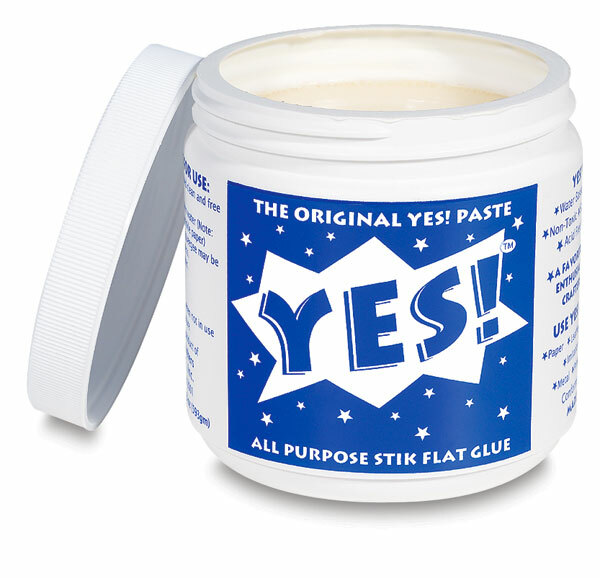 Yes Stikflat Glue is an acid-free, smooth flowing adhesive, and is permanently flexible. Low odor and easy clean-up.  Yes is a trademark.